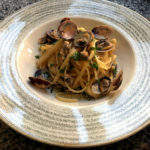 I’ve decided to propose you an Italian gastronomy first course, focusing on simple ingredients, even if they aren’t very cheap. The very fresh and good quality ingredients will guarantee success! 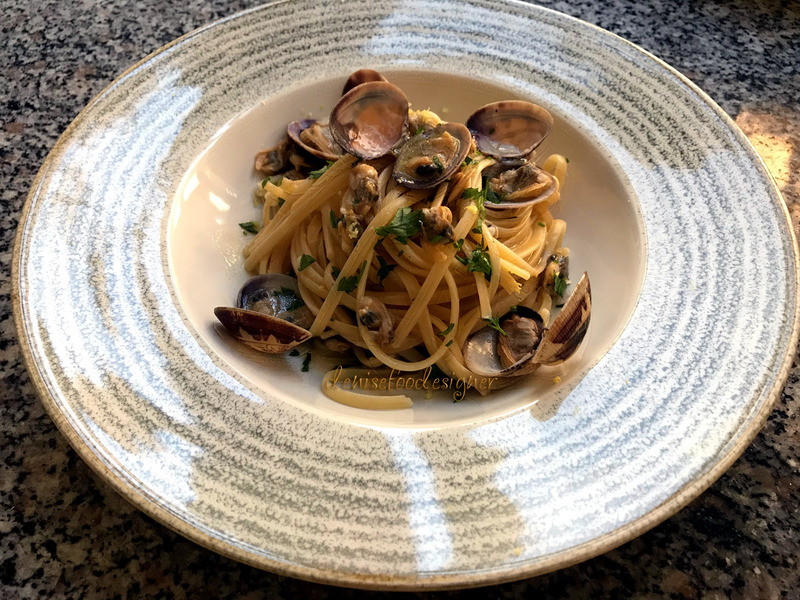 In most pasta and clams recipes you don’t find the lemon, but I have preferred to flavor this tasty dish of pasta with the peel of this citrus. It’s so dear to me and it’s typical of my country. In my opinion, you can serve this dish even during the most refined banquets: nobody will be sorry to taste this delicacy! First of all, Put the clams for a few hours in salted water (30 grams of salt per liter of water), after rinse them. In a pan, heat the oil, the chopped pepper and the garlic cloves. Add the clams. Blend with white wine. Let the alcohol evaporate, cover with a lid and cook over high heat until all the clams have been opened. Remove the clams that haven’t opened and filter the sauce with a sieve. Pour it into the pan where you have cooked the clams. Put aside. Cook the linguine in plenty of unsalted water. Remember: you have to cook them in the pan where there is the sauce, 4 minutes before the end of cooking. Add a ladle of pasta cooking water and cook over a moderate flame until the linguine is cooked. Remove from the heat and add the shellless clams. Serve with chopped parsley and grated lemon peel.